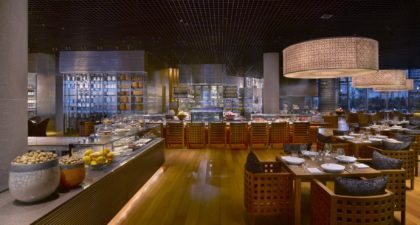 A complete sensory experience, mezza9 Macau at the Grand Hyatt Macau in Cotai focuses on the sights, sounds, smells, tastes and touches of the dining experience, bringing buffet dining to a whole new level. 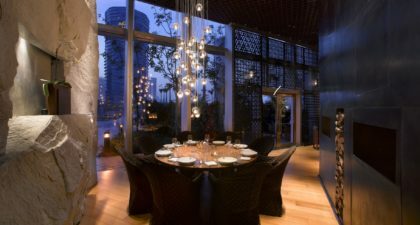 Guests will dine in a beautiful atmosphere, featuring a blend of both natural and jazzy colours, roughly-hewn stone blocks forming counters and lining the walls, as well as an array of eye-catching lattice-patterned metal screens. 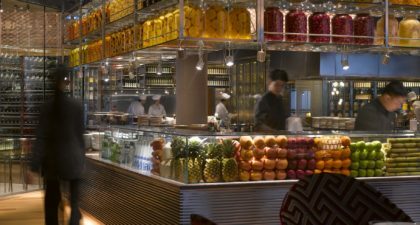 The open-concept kitchen means that guests can both watch and interact with chefs as their meals are prepared, allowing them to create a tailor-made dish to their preference. Visitors should be sure to try the seafood here, especially the lobster! 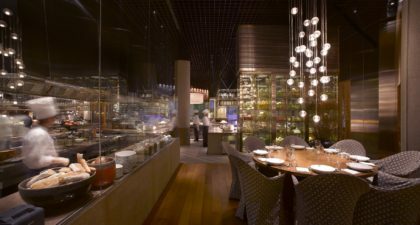 Private dining is available in their chic wine cellar rooms. Children 6-12 receive a 50 per cent discount. 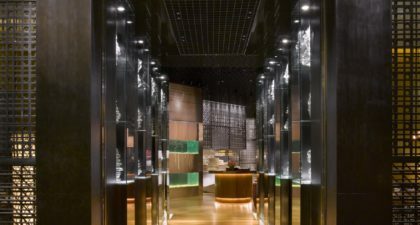 Online reservations made via the official website.